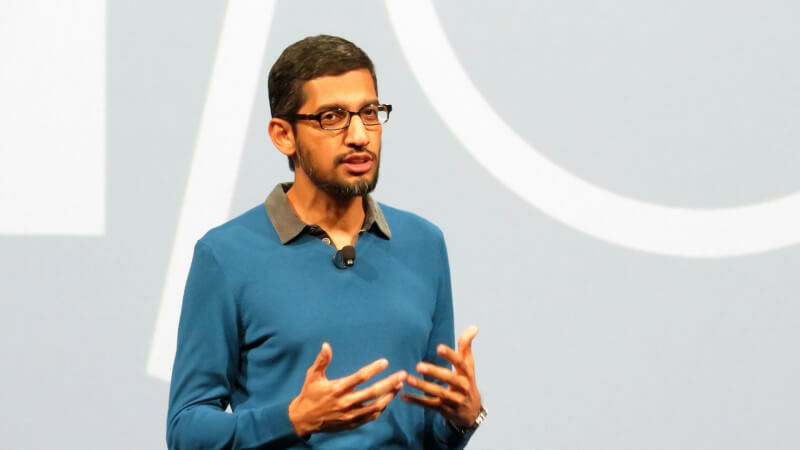 Sundar Pichai Appointed Google CEO As Google Becomes Division Of Alphabet Inc. Page and Brin step out of daily roles at Google in surprise development. In a totally unexpected development this afternoon, Google announced that it had formed a new holding company, Alphabet, Inc., and that Google would be a wholly owned subsidiary of that entity. In addition, Google co-founders Page and Brin will become CEO and President of the new company, respectively, turning over daily control of Google to Sundar Pichai, who will become the new CEO. Page further argues that a “slightly slimmed down Google” will have greater focus under Pichai. That may well be. Page and Brin now become insulated to a degree from the relentless revenue-growth expectations and pressures of Wall Street, which fall to Pichai and his deputies — although Alphabet, not Google, will be the publicly traded entity. It will be interesting to see how other executives at Google handle the transition and how the Google rank and file react. The market doesn’t quite know how to react, it seems. The stock is mostly unmoved in after-hours trading. As a practical matter, the new organization will have little or no impact whatsoever on search marketers or search marketing. Postscript: Based on upbeat Wall Street analyst notes that came out today, Google stock is now up after hours.